More than calculating calories it’s imperative to count the composition of each meal with respect to carbohydrates, proteins and fats. Let us Centre our attention on carbohydrates. India is a carbohydrate rich country but, carbohydrate over time is not doing much good to us. All our concerns lie with consuming excess carbohydrate. Carbohydrate (Sugars & Starches) forms a greater proportion of our diet and hence there is manifestation of carbohydrate toxicity which in turn is leading us on the road to impaired insulin levels, weight gain, hormonal imbalance & cardiovascular diseases. 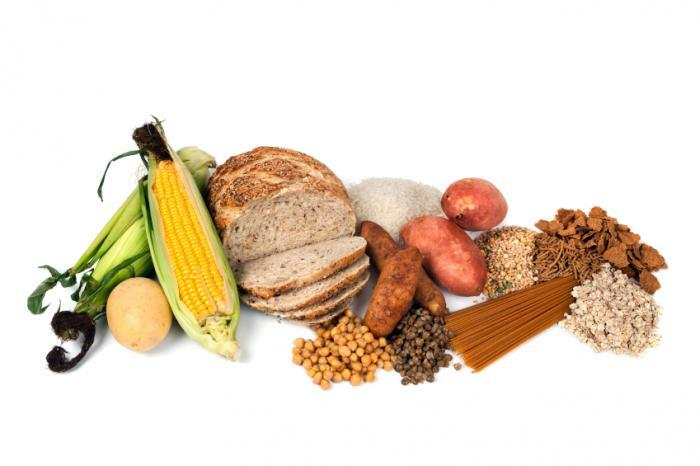 Carbohydrates, like any other nutrient are beneficial only if consumed in the right proportion. The right amount of carbohydrate for most Indians is about 55-60% of total calories with emphasis on complex variety as against 70-72% being consumed at present. Much of the benefits attributed to carbohydrate foods come from slow digesting, complex variety. They are high in fibre, low in fat and a good source of vitamins hence a crucial part of diet. Balancing carbohydrate intake is central for managing our diet. So how do we know if we are having the right proportion? Firstly, we need to distribute carbohydrate in our main meals plus in our snacking hours. Piling up carbohydrates during main meals and skipping it at snacks creates a problem. Sorghum (Jowar), Pearl Millet (Bajra), Ragi or Red Millet (Nachni), Corn or Maize, Quinoa, Oats, Barley, Semolina(Rava), broken wheat and brown rice. These taste great in our age old recipes such as Sorghum bread, Mix flour cutlets, Ragi or Red Millet Porridge, Mix Flour breads, Brown Rice steamed Idlis, Semolina Pancake, Corn bread, Pearl millet roasted crispy breads!! Avoid refined carbohydrates like Bread (sandwiches), Maida(is a finely milled refined and bleached, closely resembling Cake Flour (Biscuits, Bakery Items, Noodles, Fried Breads (Puri, Bhatura, Naan), Pasta, White Sauce), Sugar (White Sugar, Brown Sugar, Honey, Soft Drinks, Energy Drinks, Sugar Containing Breakfast Cereals, Sweets, Chocolates). Simple carbohydrate such as Fresh fruits are great but avoid fruit juices, 1 glass fruit juice has triple the amount of carbohydrate! Please do not consider Potato, Sweet Potato, Yam (Suran), Colocasia (Arvi) as vegetable, consider it in a carbohydrate rich cereal group. Limit adding of these in vegetables – we love potato mixed with all possible vegetables and even cereals. Do not eliminate carbohydrate from your diet just to have a temporary goal satisfaction. Balance is important. It is not the carbohydrate that is immoral but our very low intake of protein and wrong fats, so be smart and choose your foods wisely. • Lastly do not eat carb alone – couple 1 serving carb with 1 serving protein & 1 serving vegetables.